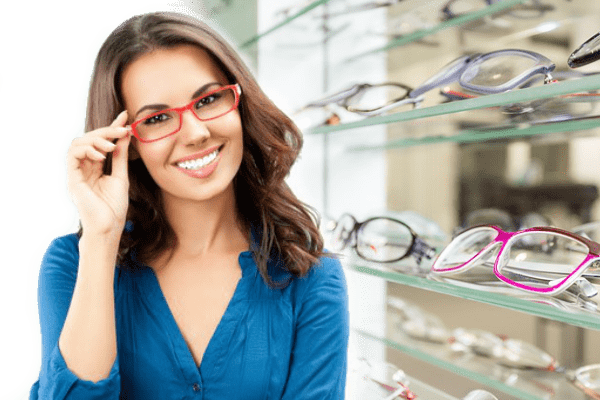 For the best choice in Lady Lake, Florida for new eye glasses, or if you just need your eye glasses repaired, look no further than the professionals at Ram Eye Care and Retina Center. Ram Eye Care and Retina Center is proud to offer full service optical goods at both our Leesburg and Villages locations. The professionals at Ram Eye Care and Retina Center have a wide selection of designer brands as well as moderately priced eyewear to fit any budget. You’ll appreciate the high level of personal attention you will receive from our staff, who will assist you throughout the process of selecting the best eyewear solution for your needs. So, whether you’re in need of new eyeglasses, or you need your eyeglasses repaired, Ram Eye Care and Retina Center is your trusted source in Lake County, Florida. • Transitions Adaptive Lenses – This lens technology is becoming extremely popular for many reasons. Transition lenses have the ability to change from clear to dark depending on the lighting conditions. This change occurs in seconds moving from indoors to outdoors, while at the same time reducing light sensitivity to the wearer. Transitions are available in single, bifocal and progressive lenses. Another benefit of Transitions is they can save you money! Transitions eliminate the need to have both prescription glasses and prescription sunglasses. • Shamir Autograph III – Prescription wearers often say the world may appear different through their glasses depending on their prescription. For example, a plus prescription may act as mini magnifying glasses making your field of vision appear larger than it really is. Shamir Autograph III lenses allow the wearer to see things with a “real world view”. This is especially true when it comes to reading. Most standard glasses have the reading area set in the same spot for everyone. With Shamir Autograph III lenses, the wearers enjoy a wider field of vision, so the reading area is located in the most optimal position based on your Rx. This eliminates moving or shifting your head to find the sweet spot for reading. Dr. Ramchander has devoted his life to improving the vision of others. He and his trained staff pride themselves on a personal approach to each patient and their unique needs. We believe the best eye care starts with a comprehensive eye examination to determine the best solution for the individual. We will then work with you to help you make the best decision in choosing the right lenses and frames for your budget and lifestyle. Call or contact Ram Eye Care and Retina Center today, at either of our convenient locations in The Villages or Leesburg, to schedule your appointment.